I’ve been saving a selection of links for future reference and future posts. Probably unwisely, as I won’t be able to use them again, here are a number of railway news items that caught my eye over the last couple of months. Journalists on board complained that the tilting mechanism caused motion sickness, nicknaming the APT “queasy rider”. In response, trip organisers suggested the journalists were already the worse for wear, having drunk copious amounts of free alcohol the night before. 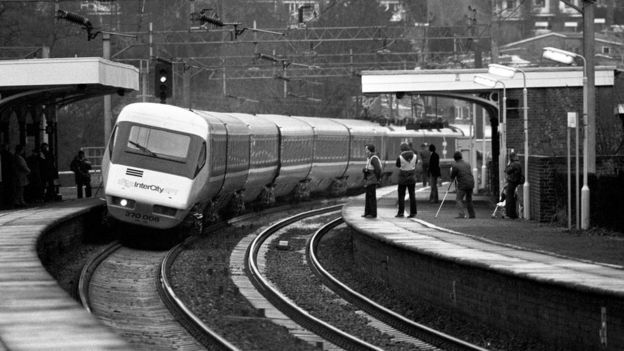 BR hired former Blue Peter presenter Peter Purves to make a film demonstrating the virtues of catching the APT from Glasgow Central to London Euston. As he arrived at Euston, Purves, sitting on a tartan-covered seat, having eaten an “excellent breakfast in the most delightful surroundings”, informed viewers: “It’s smooth. It’s quiet – and an altogether delightful experience.” But as he did so there was a slight shudder of the camera, the sound of rattling cutlery and crockery clearly audible. 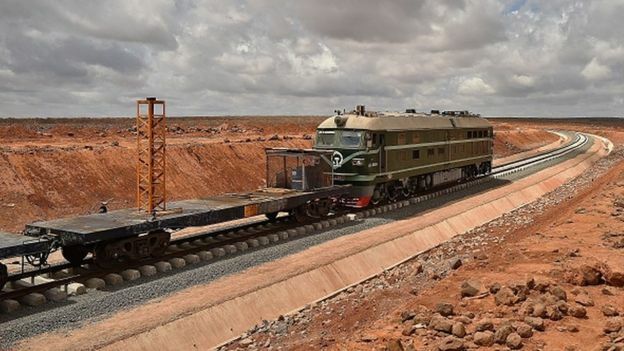 Can Ethiopia’s railway bring peace to Somalia? One would like to think so. What could bring more love, peace and understanding than a railway? This is turning into rather more than just a page of links, so here’s one more and I’ll save the rest for another post! Mega train delivers Australian record. Australia’s longest-ever grain train has rolled across north-western New South Wales carrying 5,000 tonnes of wheat. Comprising five locomotives and 73 wagons stretching 1.3km (0.8 miles), the train left the town of Narrabri on Wednesday. Almost as impressive as Paul’s Japanese goods trains at ESNG. The video on the link shows some good video of the train and the countryside it passes through.